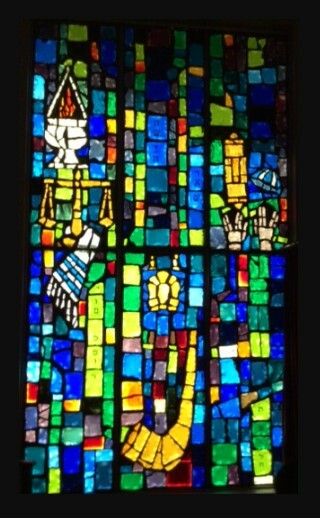 A visit to Temple Sholom can be an enjoyable and worthwhile experience just for the architecture. Step through the unusual domed entryway, and you are immediately greeted with a series of stained glass windows representing the original twelve tribes of Israel - the sons of the patriarch Jacob. Continue on into the main sanctuary, where the stained glass windows are the stars of this beautiful interior space. 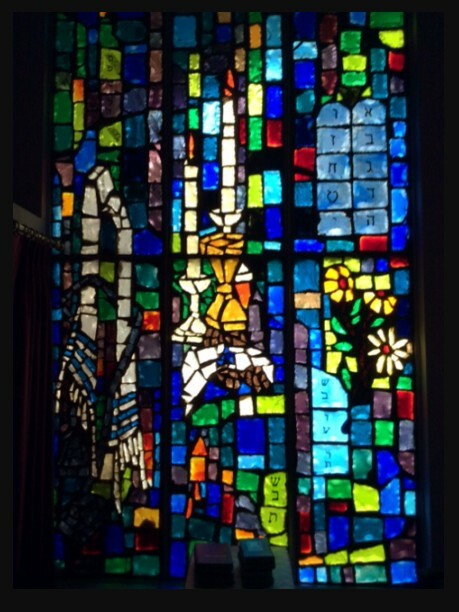 Each of the stained glass windows encompasses all of the Jewish holidays according to the calendar of occurrence: Rosh Hashanah, Yom Kippur, Sukkot, Shemeni Atzeret, Simchat Torah, Chanukah, Purim, Pesach, Lag Ba'Omer, Shavout (Receiving of Torah), and Shabbat.